There can be several reasons behind a downtime. Sometimes it can be a natural disaster or a cyber attack. It is very rare that we get a heads up before any such situations strike our business. 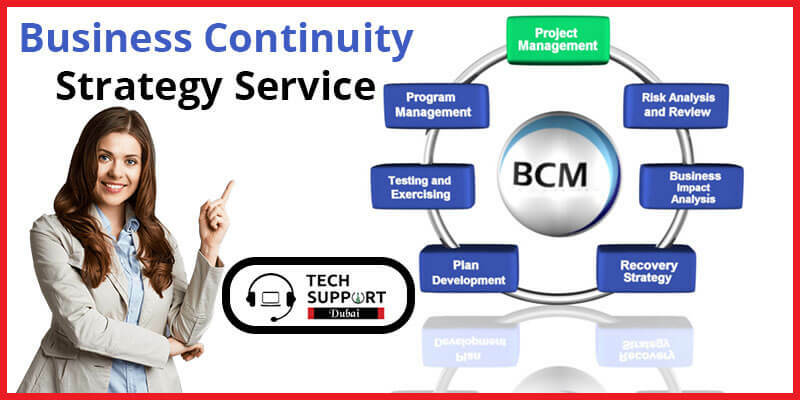 To keep the company working smooth, it is essential to implement a comprehensive business continuity strategy. Here, Tech support Dubai can help you in preparing your organization for the effects of these disasters. We offer an efficient disaster recovery plan that can put you on the right path to recovery as soon as possible. Our team of professionals follow an approach which is process-oriented and consider the whole business for evaluation after any technical outage. We keep our focus on technology, business operations, testing and communication strategies which are crucial for business continuity planning. Only recovering IT systems and electronic data will not bring the full functionality of the company. Here, our analysts investigate the risk factors and then eliminate them by keeping in mind the critical operations which are essential for recovery. Analysis of the recovery time required for distinct business processes. Custom solution architectures for the private, public, and hybrid cloud; disk and tape combinations. Proper evaluation of the process which is interdependent and complex. Identification and updating of applications and systems. Analysis of shadow IT functions like SaaS/cloud-based application which is critical to business. Performing a continuous replication of critical applications, infrastructure, data and systems to the cloud. Investigating the gaps in IT recovery, business availability and recovery requirements. A sound and robust business continuity and disaster recovery plan can save you from the demise of your business. Our specialists are qualified and experienced in dealing with such issues. With frequent training, we have been able to deliver our best to all organizations which have opted for our services. In Dubai, we have catered to several issues of companies related to the recovery of data and business processes. Choosing a right service provider becomes crucial. Therefore, by contacting our experts through 24×7 helpline, you can have efficient solutions within minutes. Contact us today and get the services which can serve you best.